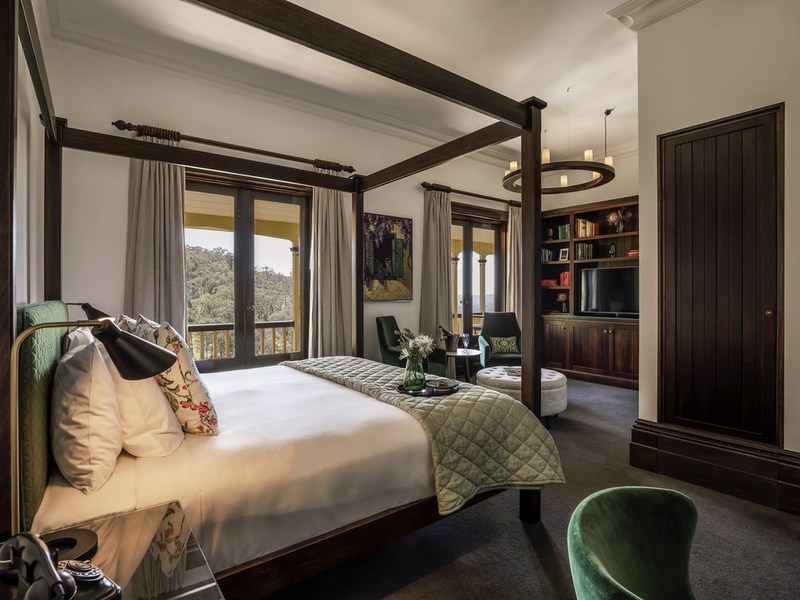 Today the estate has been transformed as the iconic Mount Lofty House, known for the perfect place to indulge, relax and celebrate. .. Experience one of the state's top dining experiences at Hardy's Verandah Restaurant. Turn right onto Sir Donald Bradman Dr. Turn right at the first major traffic lights onto Marion Rd. Follow Marion Rd across Anzac Highway then turn left at traffic lights onto Cross Rd. Follow Cross Rd until major intersection turn right onto the State Eastern Freeway. Follow the freeway through the Heysen tunnels and take Crafers turn off on left. Turn left at the roundabout onto Mt Lofty Summit Rd. Follow for 2km until you reach the hotel on the right hand side. Located throughout the estate, our Classic rooms have high ceilings and are appointed with period furnishings. These rooms offer a superb blend of comfort and style. 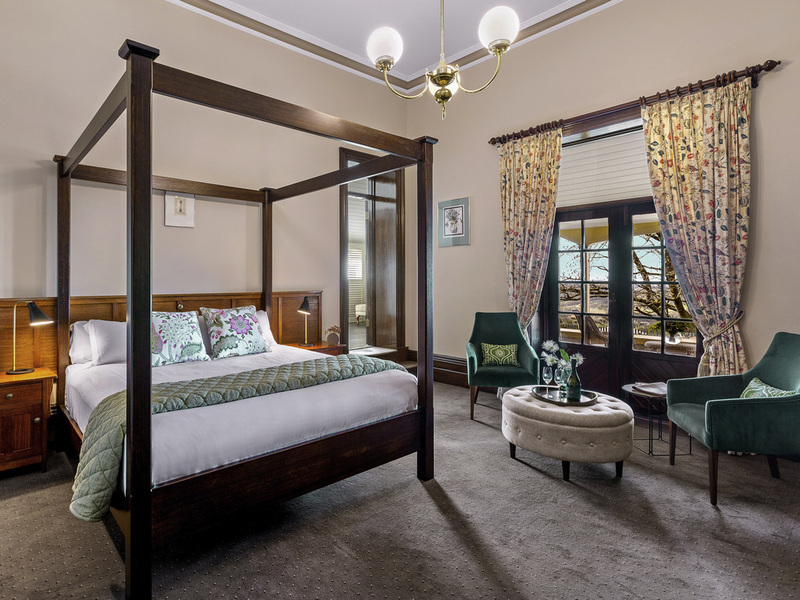 25 SQM, Our Classic Rooms are located throughout the estate and feature 4 post beds. These rooms offer a superb blend of comfort and value. Includes welcome drink on arrival, history tour with signature drink, bottled water in room & Appelles amenities. 35 SQM, Located around the estate these garden view rooms are spacious with 4 post beds, along with indoor and outdoor balcony sitting areas. Includes welcome drink on arrival, history tour with signature drink, bottled water in room & Appelles amenities. 36 SQM, These rooms feature breathtaking views of the valley with 4 post beds, indoor and outdoor balcony sitting areas & a bottle of sparkling wine. Includes welcome drink on arrival, history tour with signature drink, bottled water & Appelles amenities. 44 SQM, Each Suite has been styled in its own unique way showcasing their individual character. 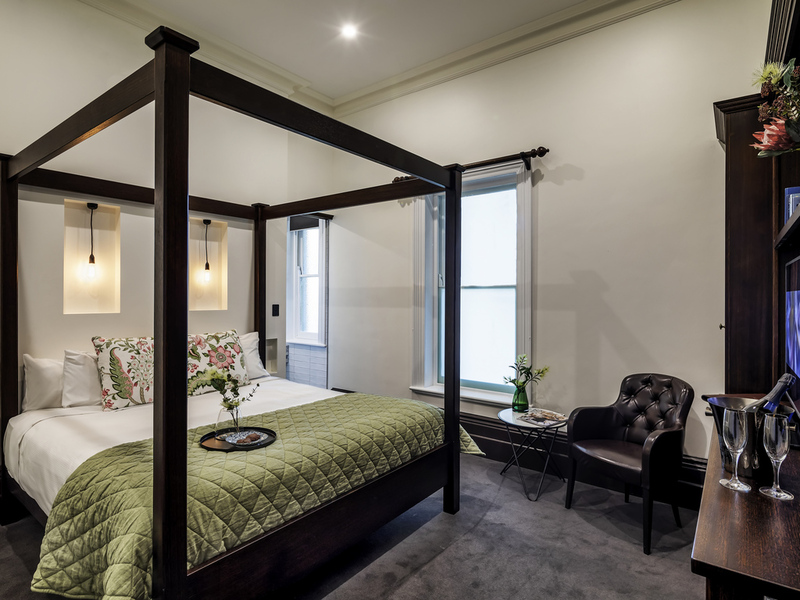 Includes welcome drink, history tour & seasonal drink, complimentary minibar, a bottle of Mt Lofty House Sparkling Wine, bottled water and turn down service. HVR reimagines the space, true to the refinement, elegance and opulence Arthur Hardy's guests enjoyed 165 years ago. Today guests are treated to magnificent views as an accompaniment to their culinary experience. Arthur Waterhouse lounge offers guests the opportunity to experience the Arthur's original sitting room looking out through the picture window over Piccadilly Valley. A more casual menu is served here and throughout the lounge areas of the property. Built in 1852 for Arthur Hardy, the house was his summer residence, but it also became a venue for the most lavish parties. Today, the space has been transformed into SA's top restaurants true to the house's tradition of refinement, elegance and opulence. Delight in world-class cocktails, an extensive wine list (named best listing of South Australian Wines in Australia by Gourmet Traveller Wine this year), and casual dining in a beautiful New York styled cocktail bar. 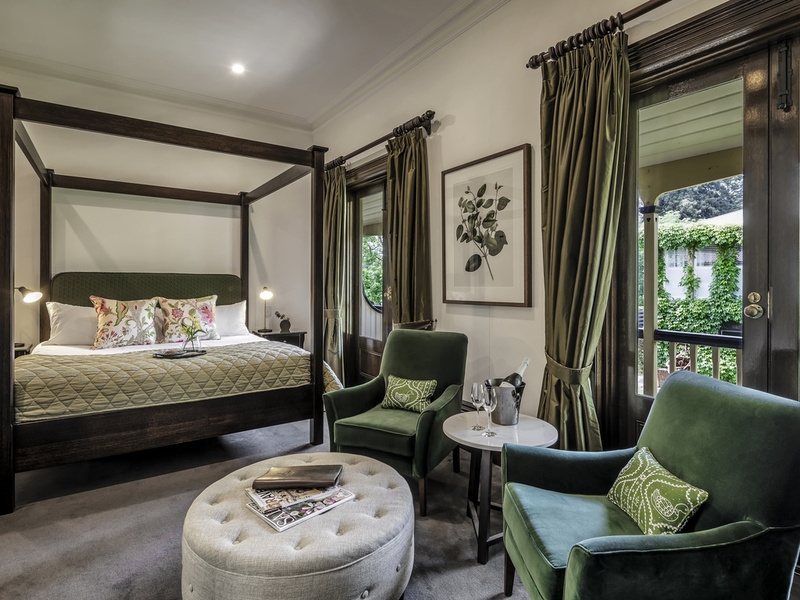 Welcome to Mount Lofty House MGallery. Our unique Manor House offers 33 guest rooms with business services including complimentary WiFi access, free parking, and seven seminar venues catering from 2-120 delegates. The outdoor pool looks out over the beautiful Piccadilly Valley.